Microscope Ceramic Necklace under a microscope! 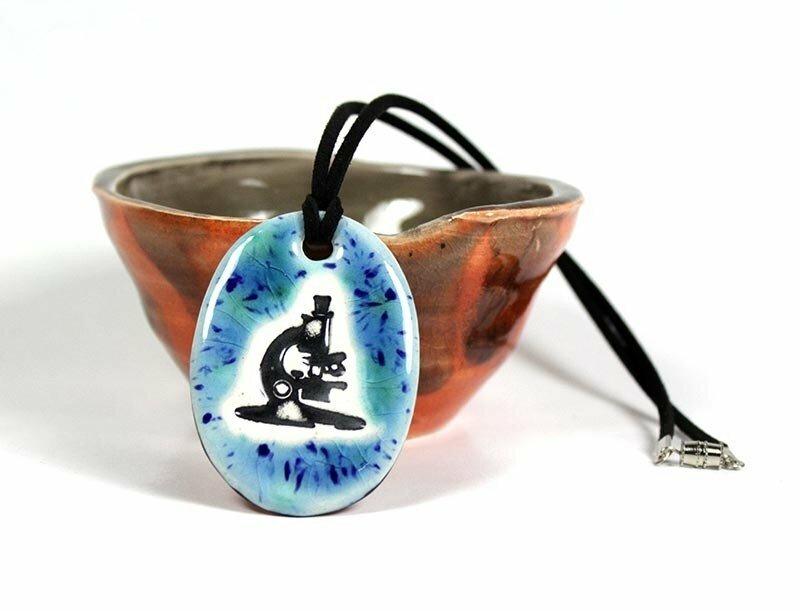 Hand-formed and hand-painted ceramic jewelry with microscope design. All of these ceramic pendant designs are made in small batches to ensure their unique, one-of-a-kind beauty and collectibility! Each pendant comes hanging on a faux suede cord. Made in the USA from earthenware clay and fired twice using lead-free, food safe glazes. Comes with faux suede cord.